Just about everything can be done online these days, even in South Africa. You can open up a bank account, apply for a credit card, file your income taxes, and renew your car licence. So why should you not also be able to access legal services online? We are a small group of passionate individuals and our aim is to make it easier for the “average” South African to access the law. There are literally thousands of admitted lawyers in South Africa who are able to assist people. Some specialise in criminal law, some in shipping law, some in commercial law (like mergers or acquisitions) and some are general practitioners. The challenge people face today is finding the right lawyer to assist. 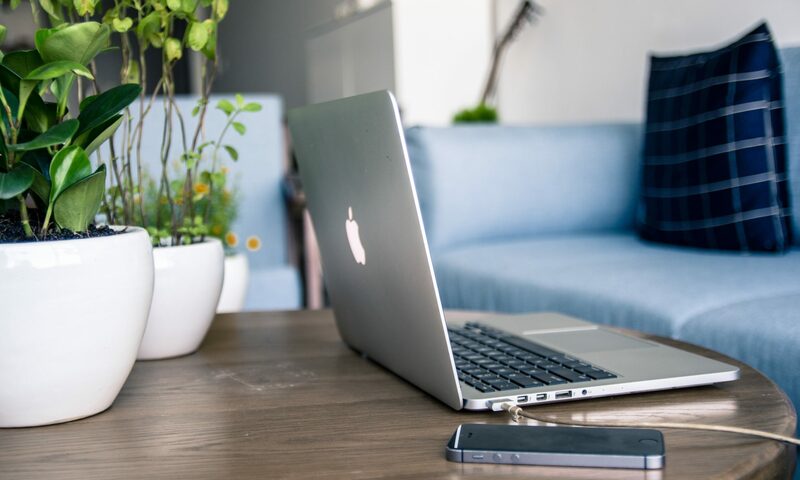 The South African Lawyer website enables people to search through a massive directory of lawyers based on location, speciality, or magisterial district. Our aim is to put people in direct contact with lawyers who can assist. Sometimes people want to ask a lawyer a question but they are too scared of picking up the phone or making an appointment with the lawyer because they think that they can’t afford the legal advice. The challenge is that lawyers generally bill by the hour, but what happens if somebody wants only 10 minutes of time? 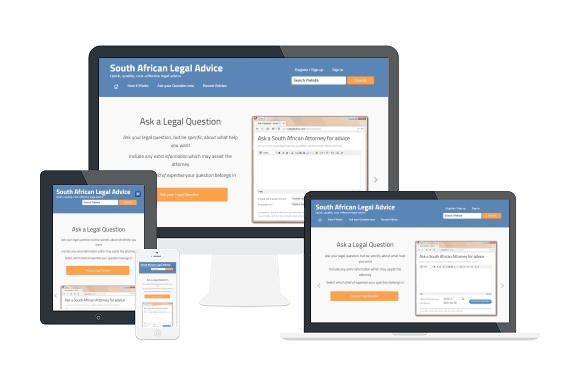 The SA Legal Advice website enables people to engage with a qualified, admitted attorney, to ask him/her a legal question. After a small deposit is made, the parties “chat” until the person is happy and “accepts” the answer. The advantage for the lawyer is that he receives compensation for the time he/she spends; the advantage for the person is that they can select how much they want to spend on getting their question answered. 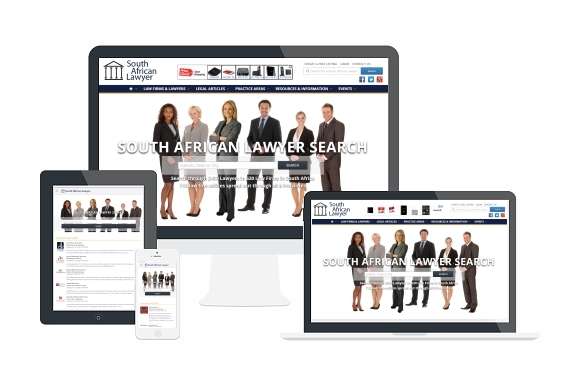 The South African Lawyer Search project aims to provide an online directory of lawyers / attorneys, with verified and up-to-date information about lawyers and law firms, which is searchable via an easy search interface. Presently, the online directory allows users to search for a lawyer from over 4559 Lawyers practicing in 620 Law Firms in South Africa, operating from 712 law offices spread out through all 9 Provinces. Law firms are able to subscribe to a premium account which gives their listings additional premium features. Search functionality includes finding lawyers with a certain specialty (e.g. privacy law, mergers, criminal law), or who operate in a specific magisterial district (e.g. Wynberg, Somerset East, Brakpan) or in your own town/city. The SA Legal Advice project aims to provide users with legal assistance from a panel of qualified and verified attorneys in South Africa. Once a user has registered with the site, he/she can post a question and provide any additional information which might be relevant. Once the user has made a small deposit, the question is sent to the panel of attorneys. The user has the ability to “chat” with the attorney, obtaining clarity on his/her question, and once the user is happy the answer is “accepted”. The attorney will then receive payment for his answer. To date, users have asked over 2900 questions. Feel free to drop us a line or to reach out to us for any reason. We are always happy to hear from our supporters. If you would like to get involved in any of our projects in any way, please let us know! We are available online, 24 hours a day; 7 days a week; 52 weeks a year! Just ask. Just about everything can be done online these days, even in South Africa. You can open up a bank account, apply for a credit card, file your income taxes, and renew your car licence. So why should you not also be able to access legal services online? We are a small group of passionate individuals and our aim is to make it easier for the “average” South African to access the law. Copyright © 2011 - 2019 Blue Label Law CC All rights reserved.